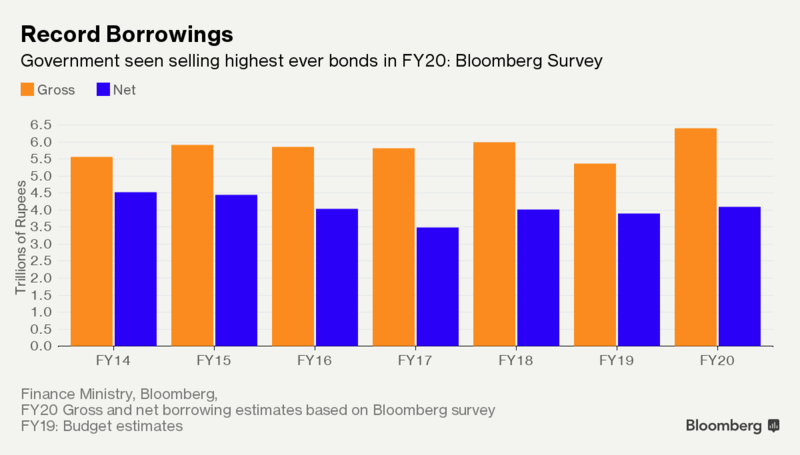 After posting the best quarter in four years, Indian bonds are pitted against a familiar foe: likely record debt sales by the government to finance populist measures before national elections due by May. Prime Minister Narendra Modi’s administration may announce Friday plans to borrow Rs. 6.4 lakh crore ($90 billion) for the next fiscal year in its budget, according to the median estimate of 15 strategists in a Bloomberg News survey. That compares with a revised Rs. 5.35 lakh crore for the current year. Investors have turned skittish about the health of the country’s finances amid signs that the government is ready to sacrifice fiscal discipline as it weighs an aid package to appease farmers, a key voting block. The concerns have led to the yield on the most-traded 2028 bonds rising in four of the past five weeks, with primary dealers rescuing a sovereign debt sale on January 18. Net borrowing, adjusted for repayment of bonds, is seen at Rs. 4.2 lakh crore versus Rs. 3.91 lakh crore this fiscal year, according to the survey. While the yield on 2028 bonds fell rapidly in the October-December period as oil slumped and the central bank boosted its debt purchases, it was the Rs. 70,000-crore reduction in central borrowings that first began to buoy the sentiment after a yearlong selloff. Worries about higher debt sales have re-emerged just as prices of oil — the country’s top import — have begun to recover and revenue from income tax and asset sales is trailing estimates. That’s not all. 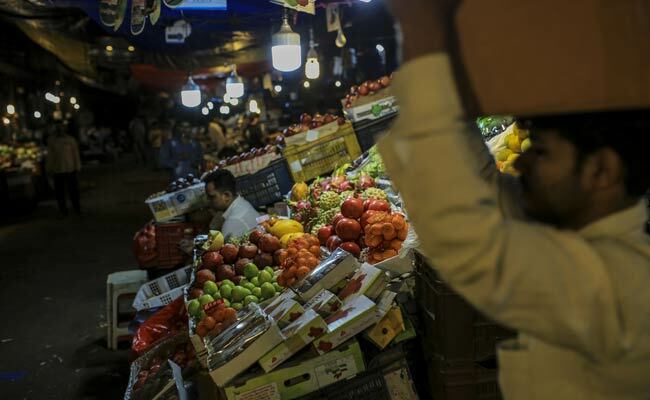 The budget deficit is seen widening to 3.5 percent of gross domestic product in the year ending March versus the 3.3 percent target, according to a separate Bloomberg News survey. Not surprisingly, the yield on the 2028 bonds has risen 18 basis points in January, the most among the major Asian emerging markets, and global funds have pulled $317 million from local bonds this month. The benchmark 10-year yield could climb to 8 percent if the size of the farm-relief package is “substantial and weighs more on the fiscal deficit that what we have penciled in,” said Hugo Erken, senior economist at Rabobank International. The yield on 2028 bonds fell one basis point to 7.55 percent on Friday. Reclaiming the 8 percent mark — a level seen in October — will “make it difficult for the government to refinance their debt in fiscal 2020,” he said.